SAN FRANCISCO & JOHANNESBURG--(BUSINESS WIRE)--Sep. 15, 2015-- Visa Inc. (NYSE:V) today introduced a new specification to use biometrics with chip card transactions. The specification can enable palm, voice, iris, or facial biometrics. This first-of-its-kind technology framework is designed to work with the EMV® (Europay, MasterCard, Visa) chip industry standard to help ensure open, globally interoperable solutions. 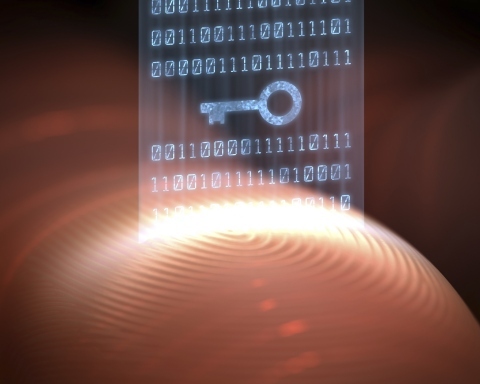 Biometric verification is intended to prevent fraud as well as make it easier to pay securely. The architecture Visa has designed enables fingerprints to be securely accepted by a biometric reader, encrypted, and then validated. The specification supports “match-on-card” authentication where the biometric is validated by the EMV chip card and never exposed or stored in any central databases. Issuers can optionally validate the biometric data within their secure systems for transactions occurring in their own environments, such as their own ATMs. Because Visa’s design is built on the EMV chip standard, biometric cardholder verification can be seamlessly integrated with the technology used by 3.3 billion chip cards around the world. Financial institutions, solution providers, and others in the payments ecosystem can rely on an interoperable and consistent infrastructure for supporting biometrics. Absa Bank, a wholly-owned subsidiary of Barclays Africa Group, will be the first to use Visa’s specification to develop a proof of concept trial beginning this fall. Cardholders will use fingerprint readers at select Absa-owned ATMs in lieu of a PIN to complete transactions. In order to prevent potential fraud as well as encourage easier access to banking, there is strong interest in biometric solutions in South Africa and other developing countries where banking and electronic payments may still be nascent. Visa will offer to contribute the technology to EMVCo, the global technical body that manages the EMV® Specifications, to further develop and administer the standard for the benefit of the entire payment industry. Visa Inc. (NYSE: V) is a global payments technology company that connects consumers, businesses, financial institutions and governments in more than 200 countries and territories to fast, secure and reliable electronic payments. We operate one of the world's most advanced processing networks — VisaNet — that is capable of handling more than 56,000 transaction messages a second, with fraud protection for consumers and assured payment for merchants. Visa is not a bank and does not issue cards, extend credit or set rates and fees for consumers. Visa's innovations, however, enable its financial institution customers to offer consumers more choices: pay now with debit, pay ahead of time with prepaid or pay later with credit products. For more information, visit usa.visa.com/about-visa, visacorporate.tumblr.com and @VisaNews.